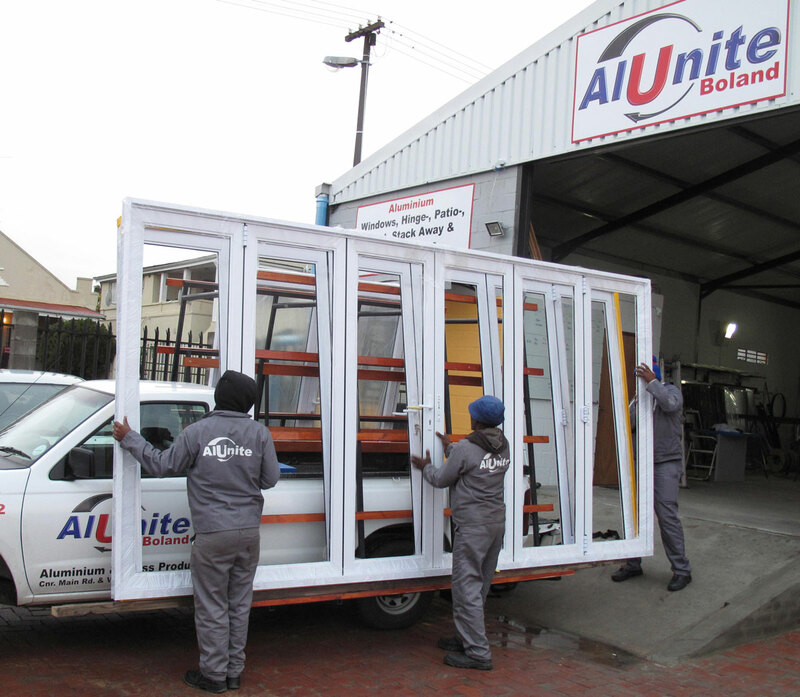 Products an Alunite Store can supply. 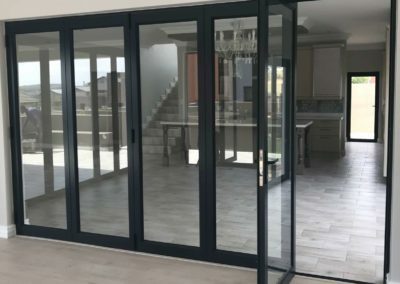 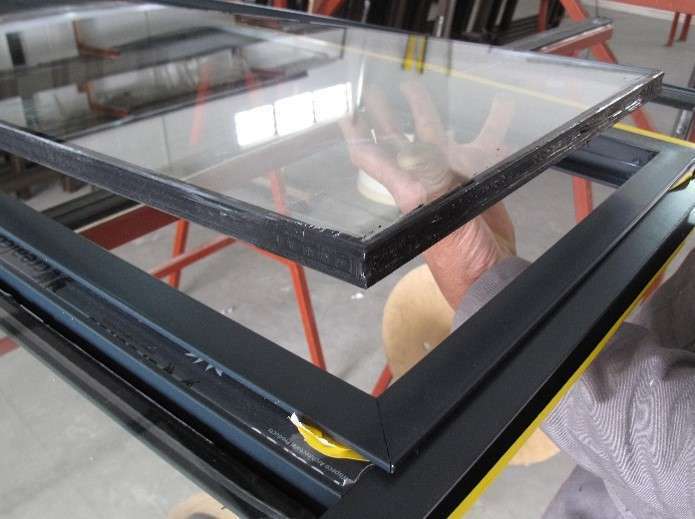 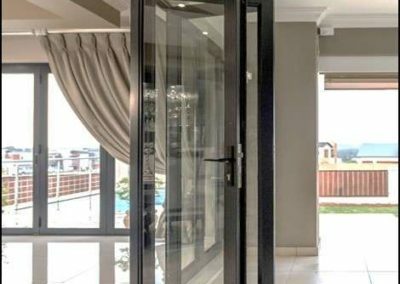 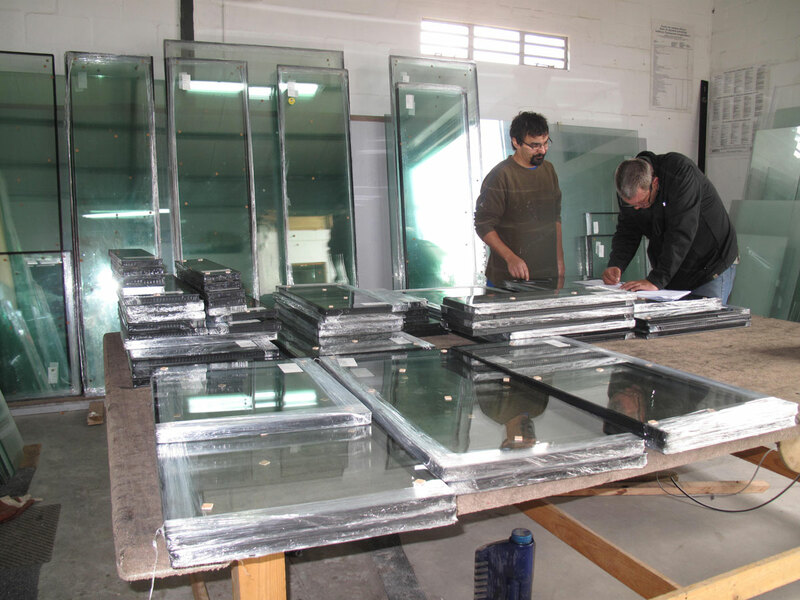 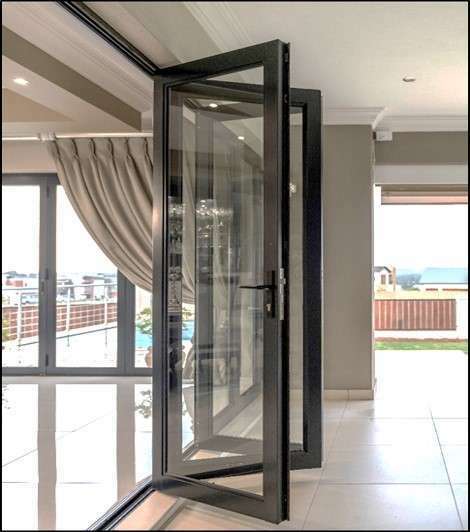 Although the manufacturing and installation of aluminium windows and doors are the main activity in our Alunite stores, glass of various thicknesses and textures is stocked. Clear glass from 3mm to 6mm, safety glass, obscure and Low-E glass as well as 3mm and 4mm mirrors are carried in stock sheets. 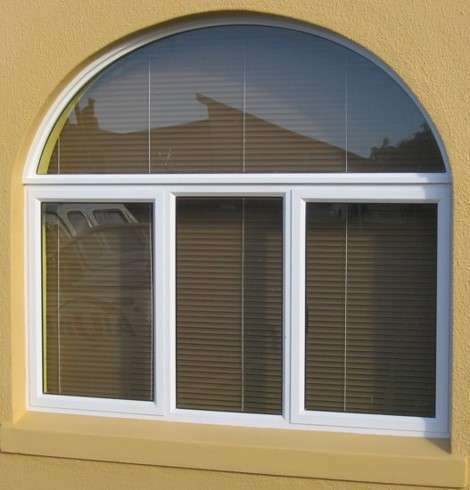 We also manufacture & install aluminium products glazed with double glazing units. 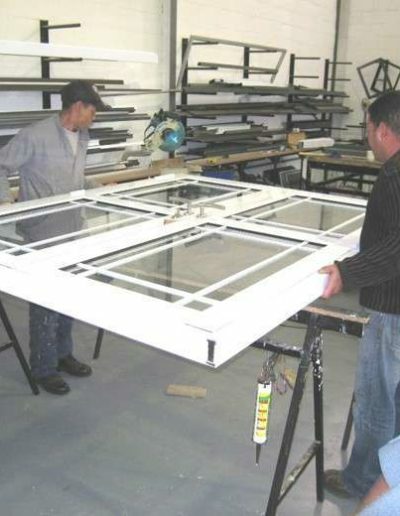 Standard patio doors and sidelights are stocked in popular sizes for the DIY and domestic market. 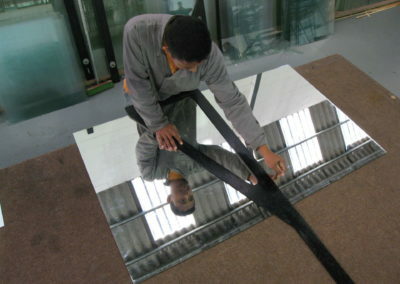 The most popular sizes are 1,8m 2,4m and 3m. 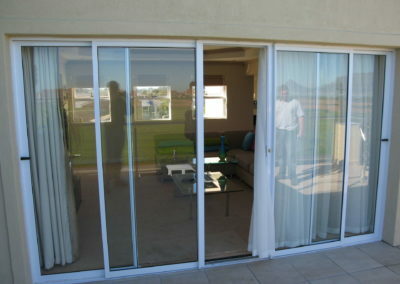 These patio doors have one panel sliding. 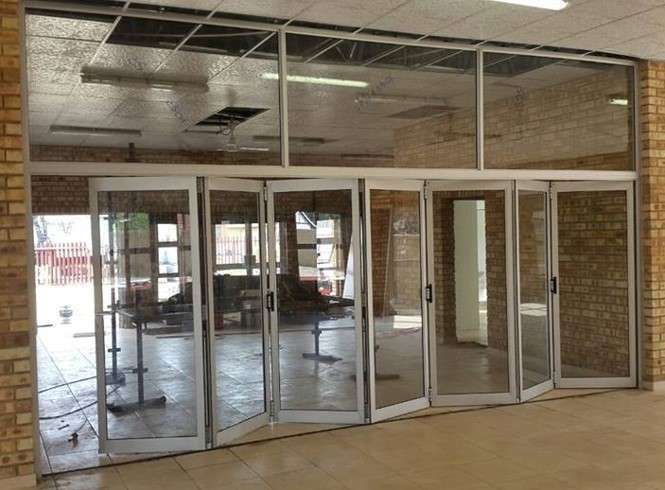 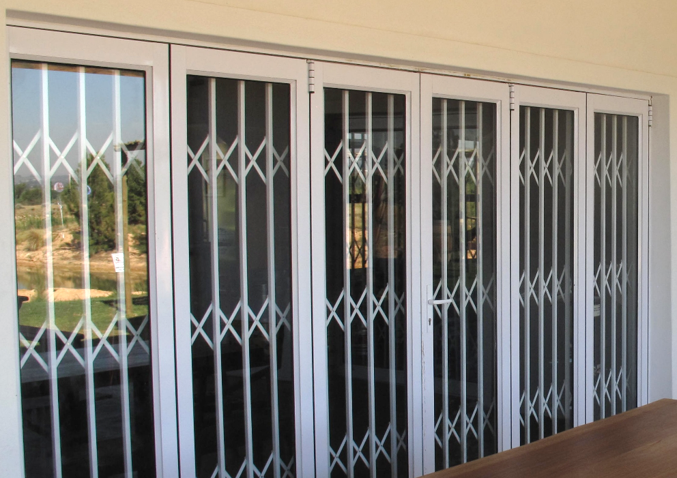 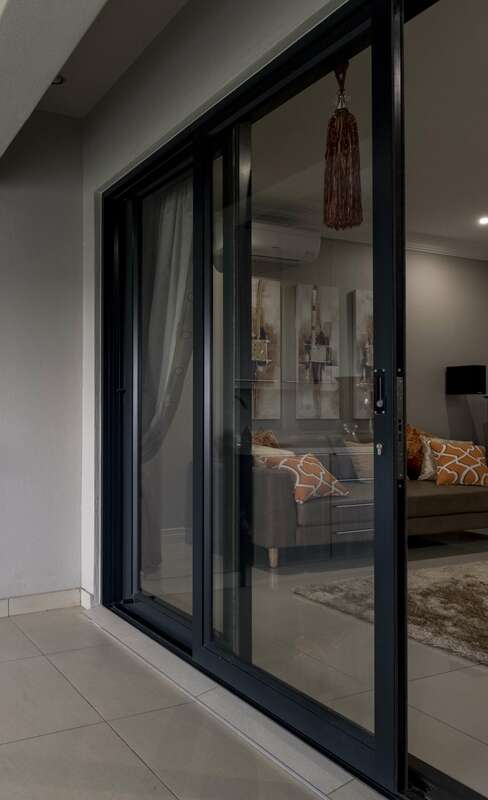 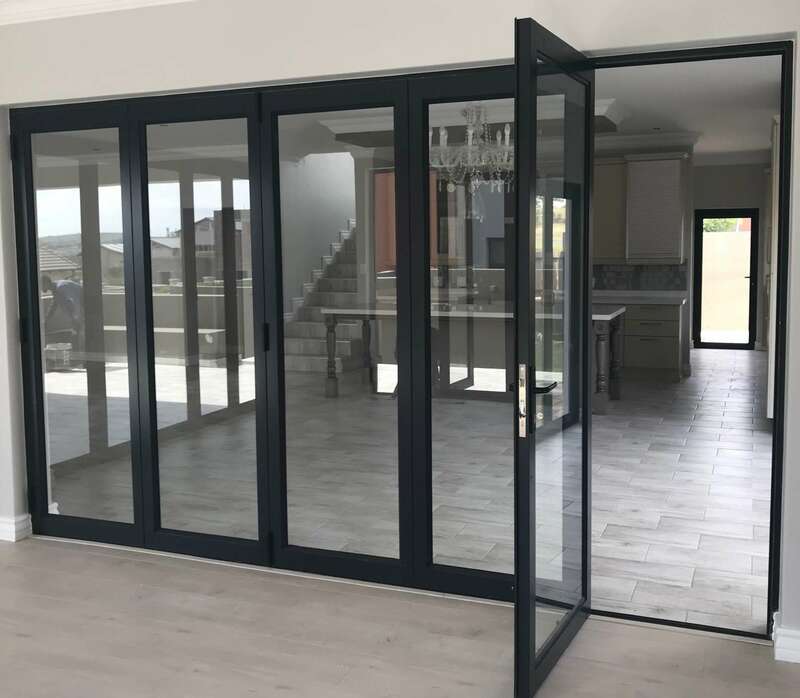 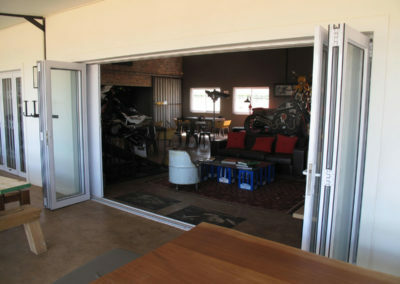 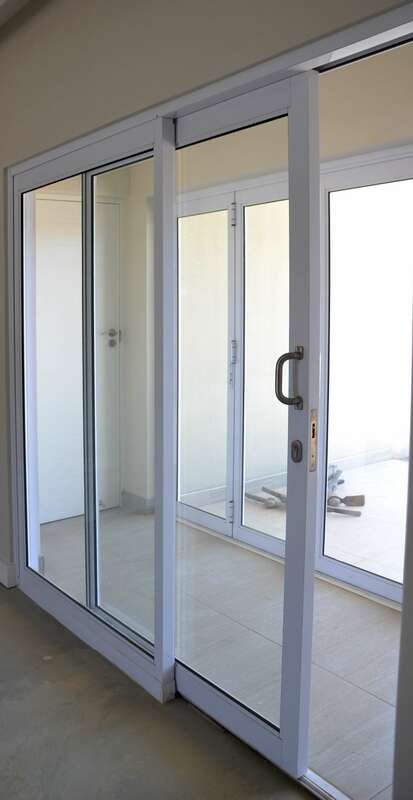 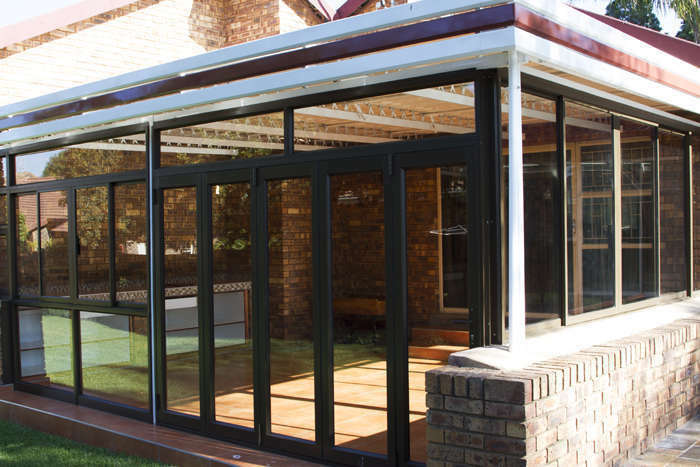 Also readily available to our stores are patio doors up to 6m wide. 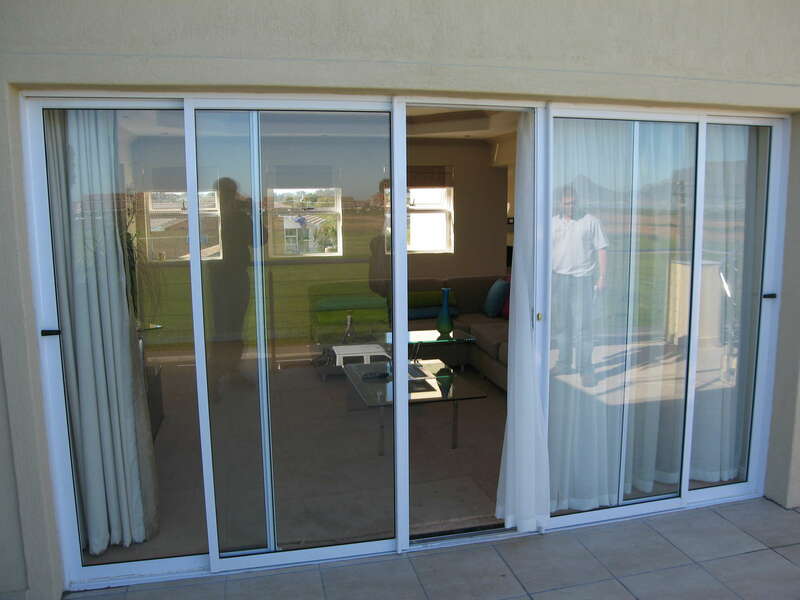 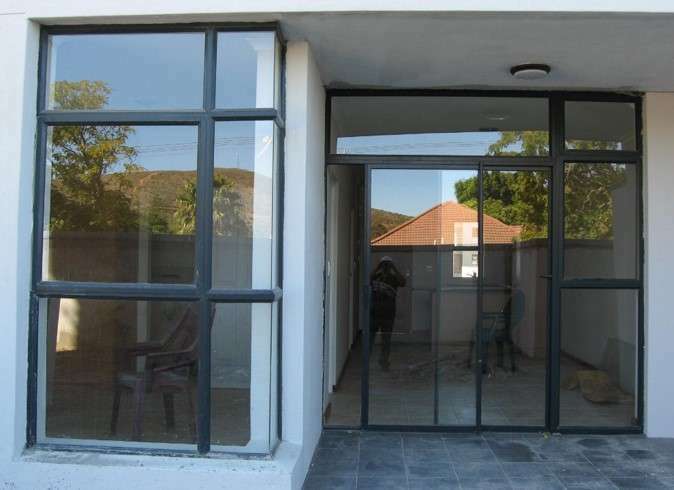 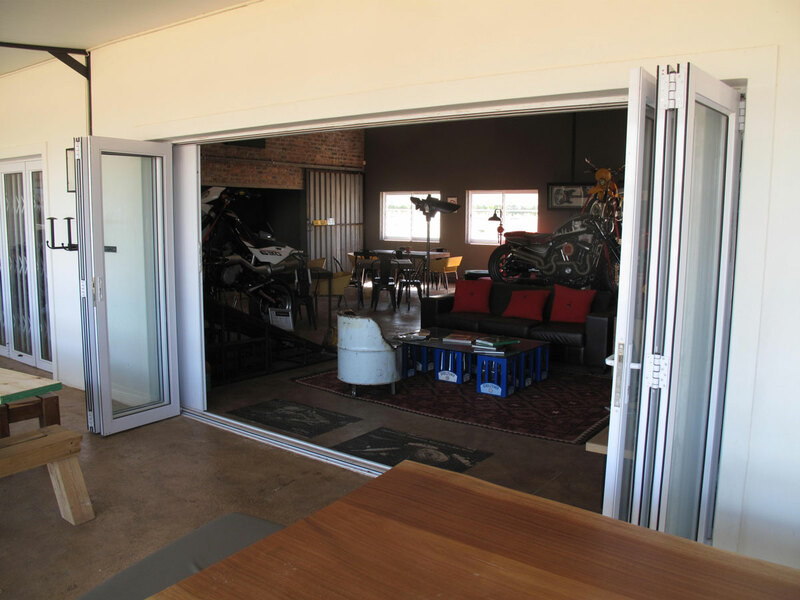 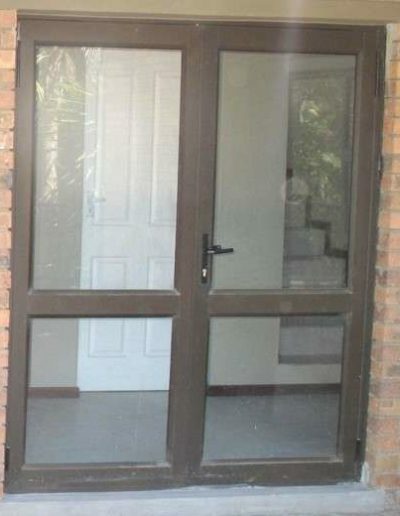 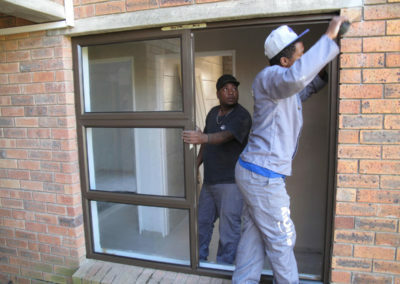 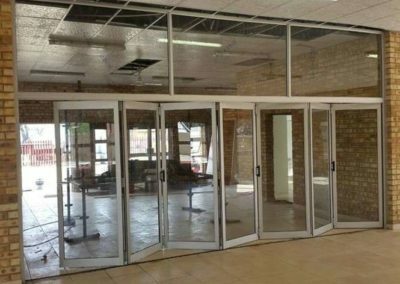 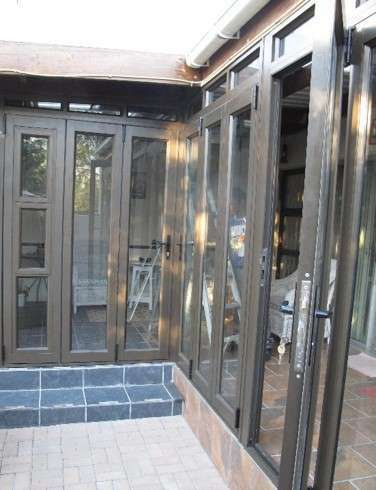 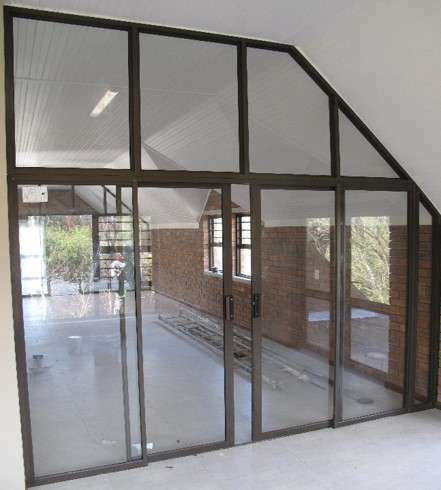 Heavy duty sliding doors are manufactured by ourselves. 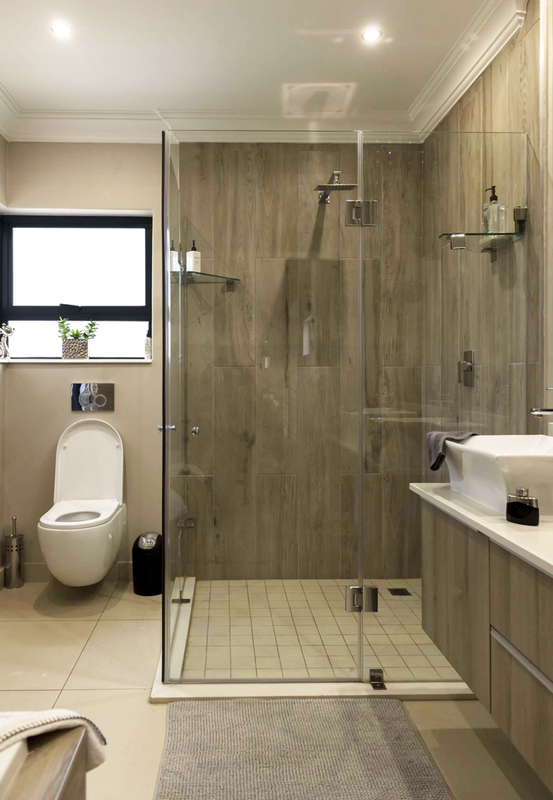 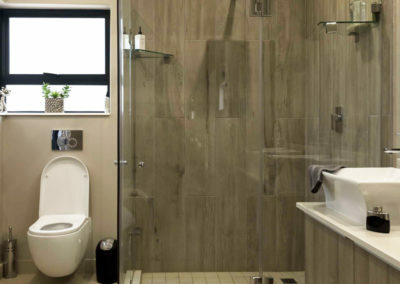 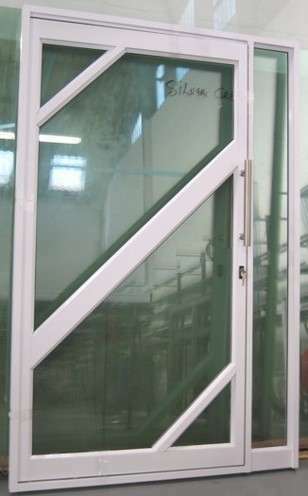 A wide range of shower doors is available. 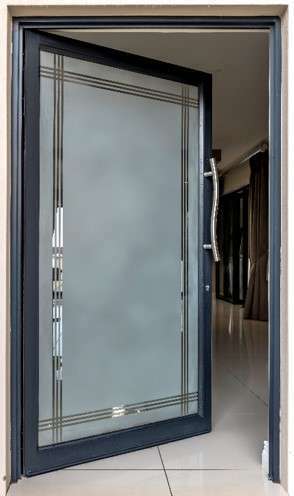 Except for the very popular Pivot Shower Door, frameless shower doors have become increasingly popular. 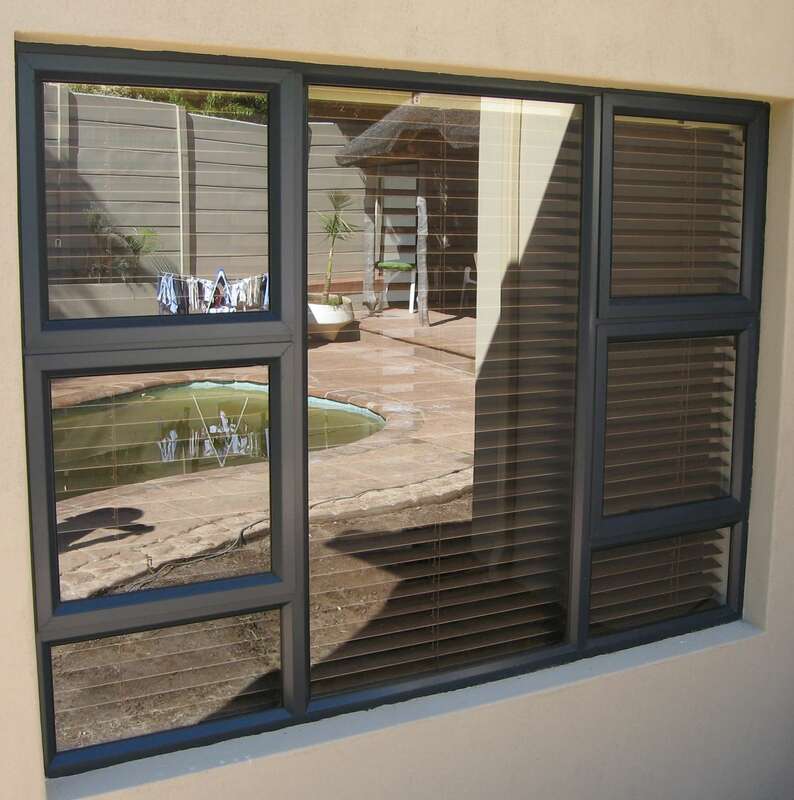 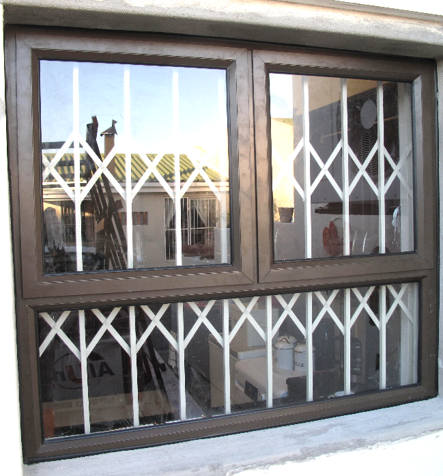 Casement and Horizontal Sliding Windows are manufactured in our stores. 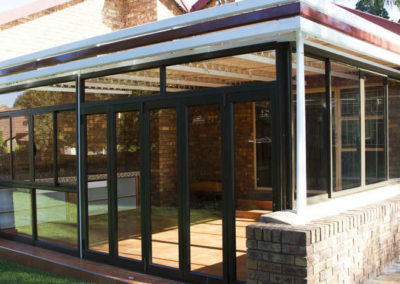 The aluminium extrusions are available in various colours of which white, bronze and matt charcoal is the most popular. 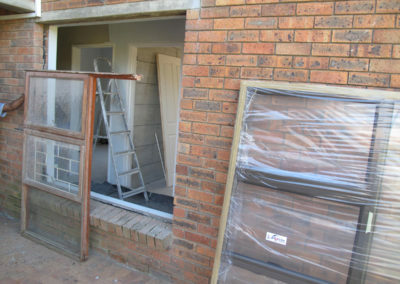 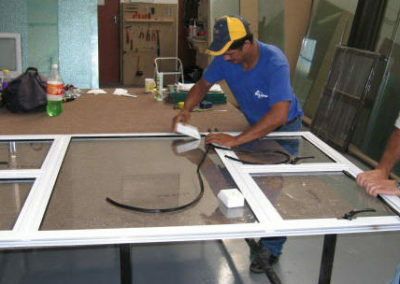 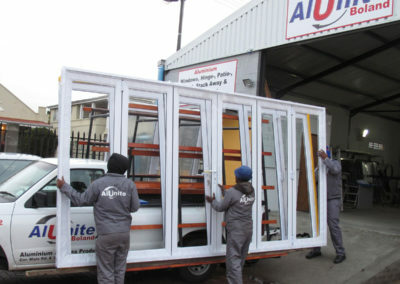 The cutting and assembling of the window frames as well as the glazing thereof, is done instore. Non – standard items are exciting to manufacture. 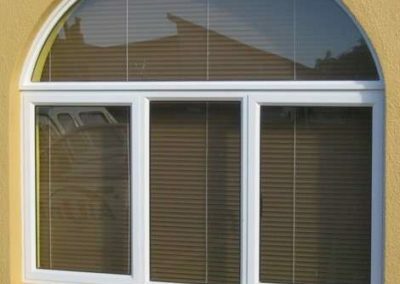 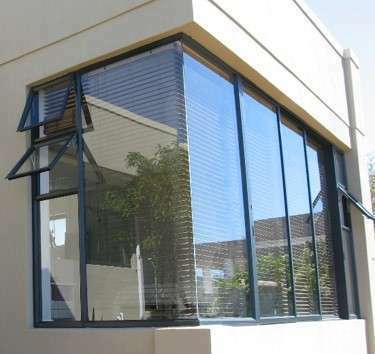 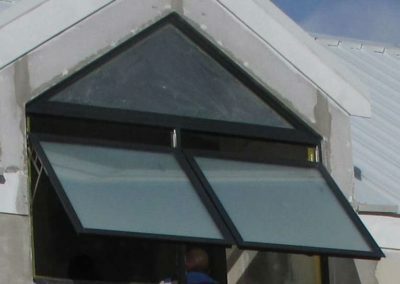 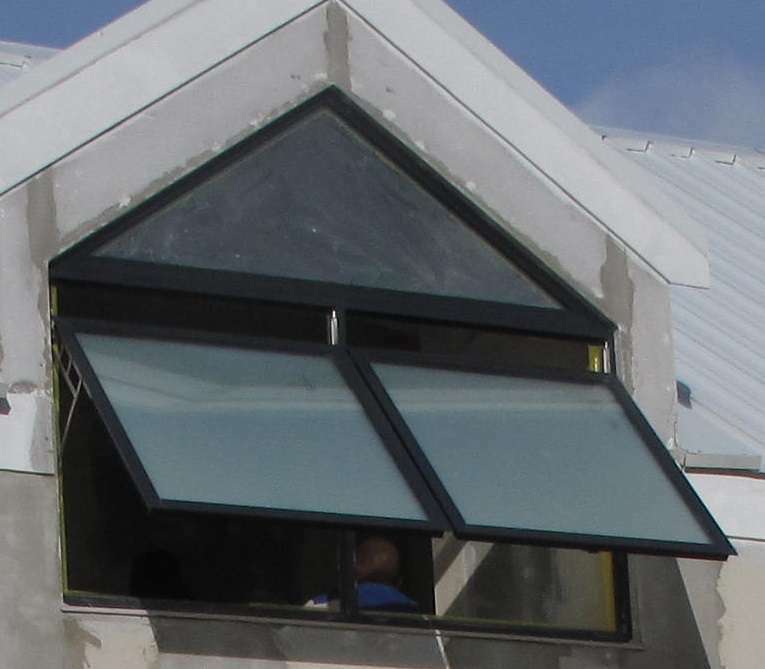 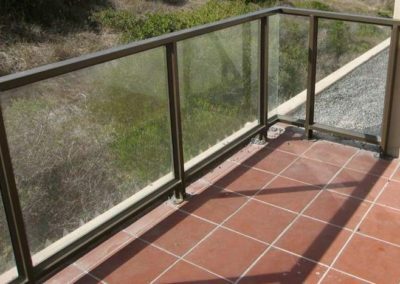 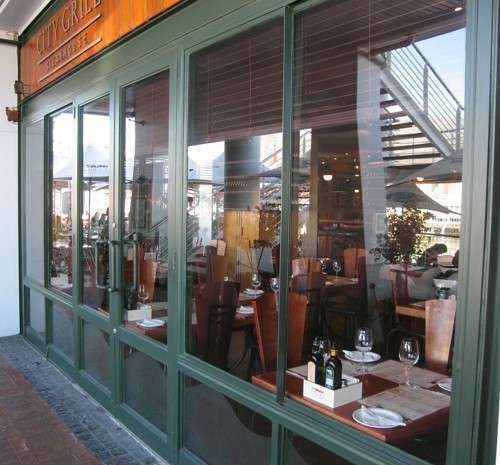 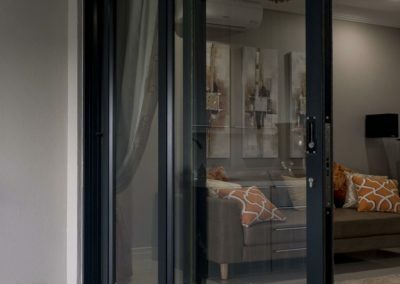 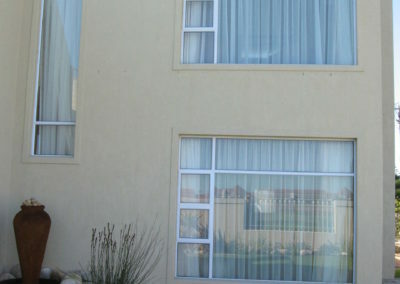 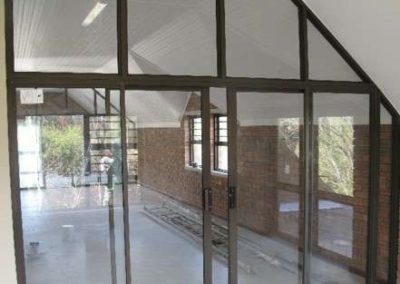 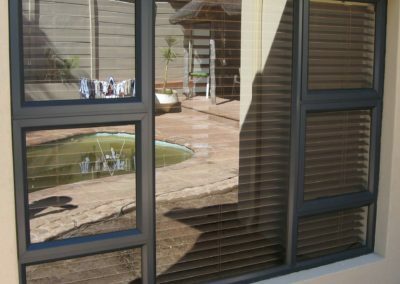 The availability of a wide variety of aluminium extrusions enables us to design and manufacture almost anything such as a miniture horizontal sliding window and double louvre door on the left and entrance door with sidelight and toplight on the right and horizontal sliding window with fixed top and bottom panels on the far right. 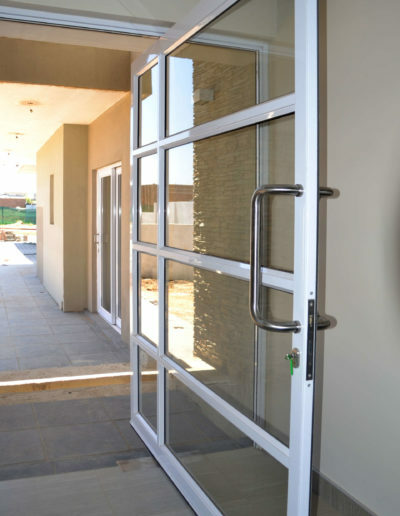 We manufacture Stack-Away Doors that is not only very popular in shopping malls but also in residential houses. 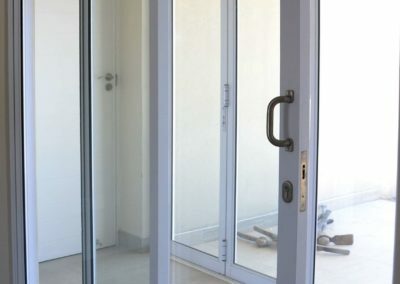 These doors can open the full width of the opening. 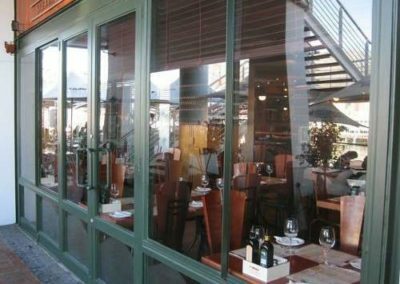 Enclosures, where shopfront aluminium extrusions are used, is very specialised but are in great demand. 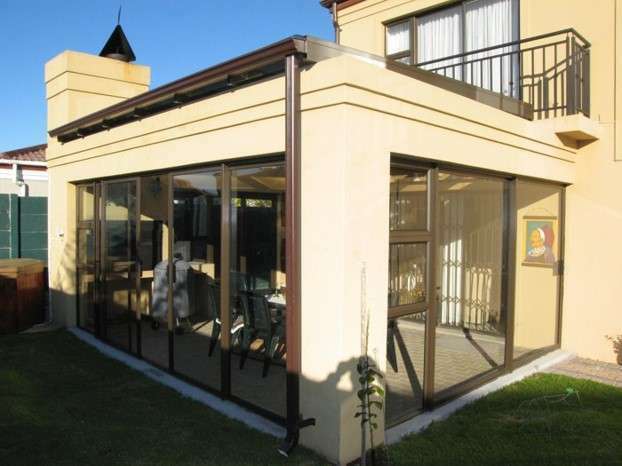 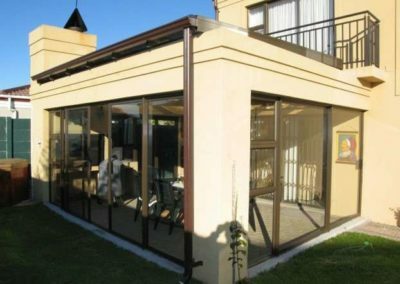 Enclosing restauraunts, as seen on the left, as well as enclosing patio’s, braai areas, pools etc. 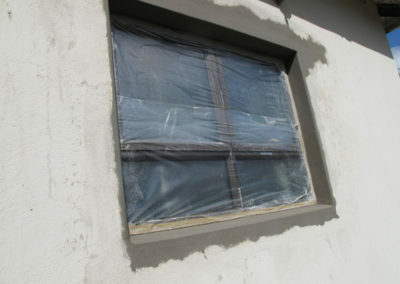 has become very popular. 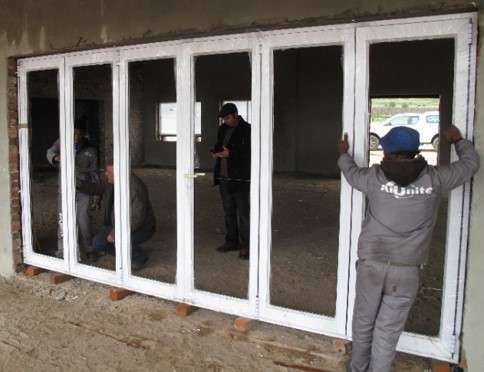 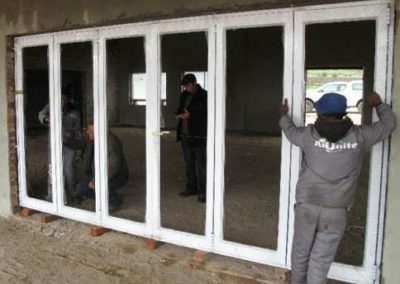 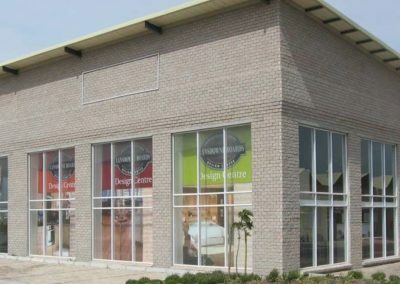 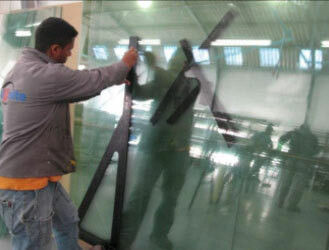 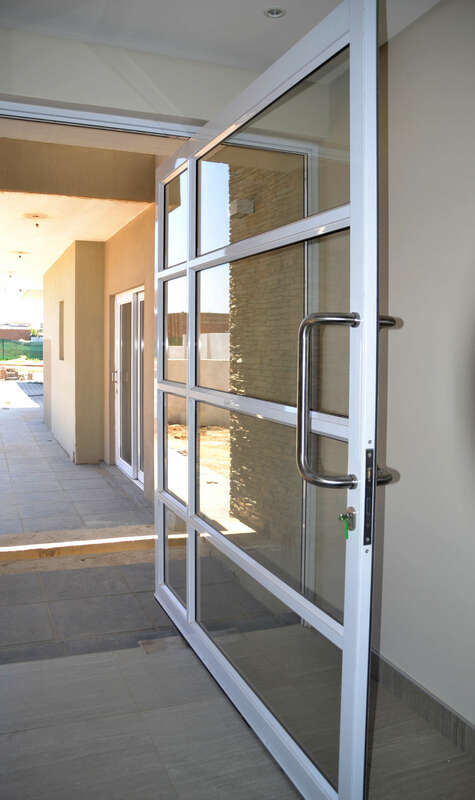 Our branches also install heavy-duty window frames and doors to shops, factories, restaurants, schools and malls. 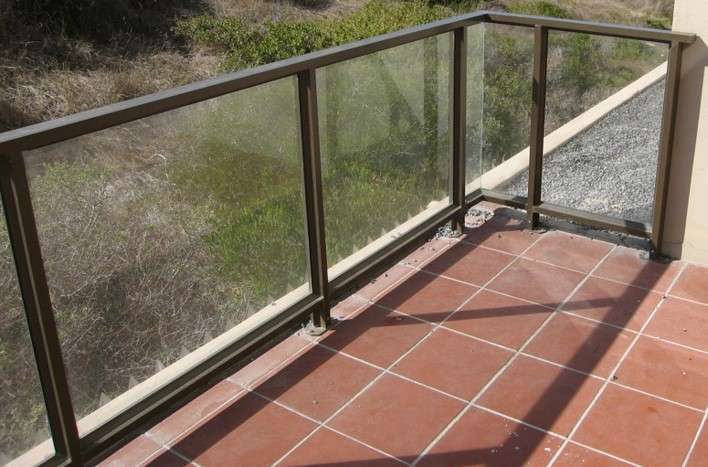 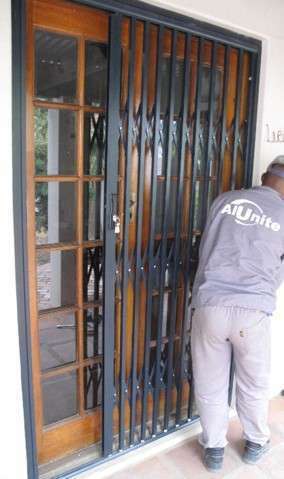 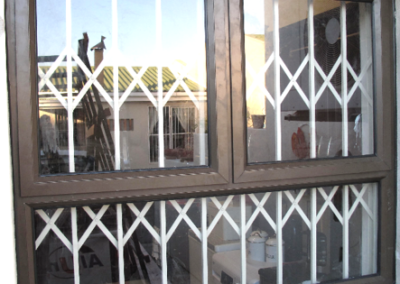 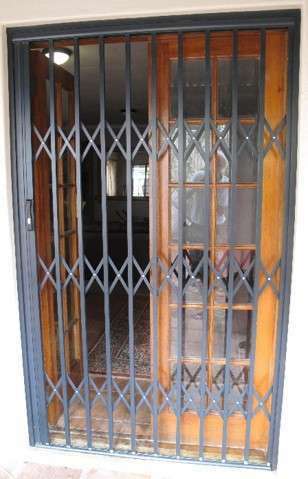 Our Alunite branches manufacture and install aluminium retractable security gates. 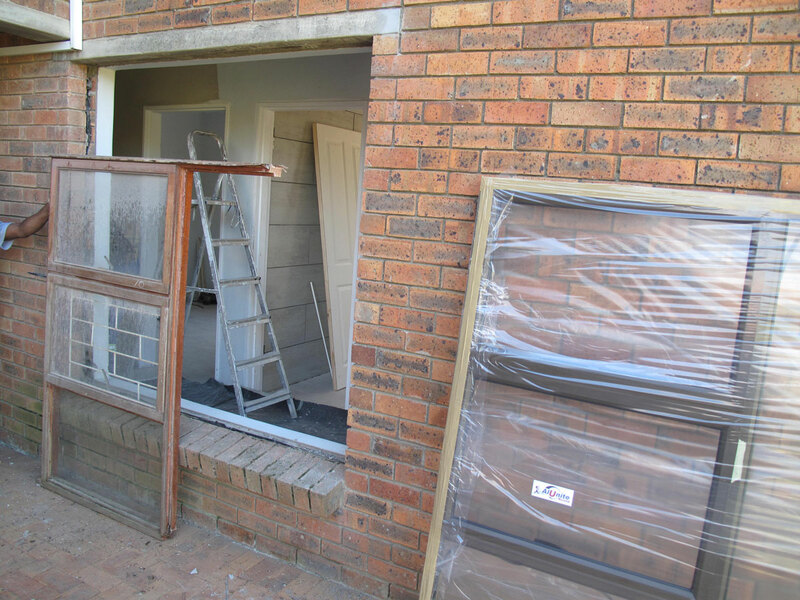 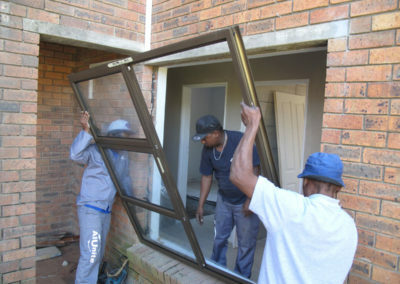 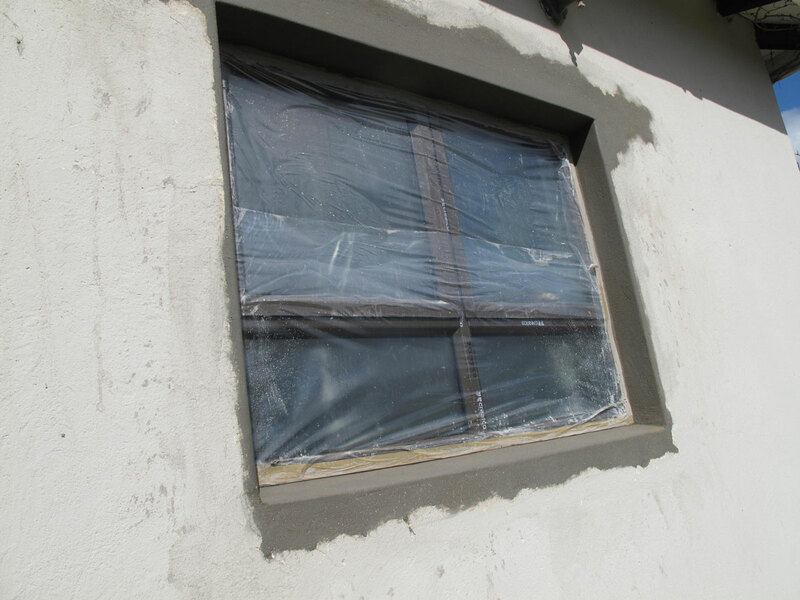 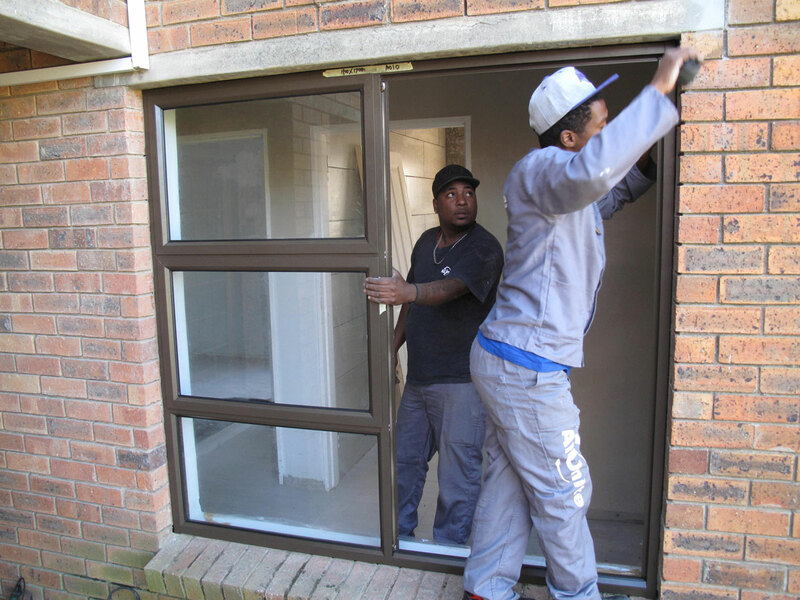 Replacing old steel and wooden windows and doors in older houses with aluminium products is the new craze throughout the country. 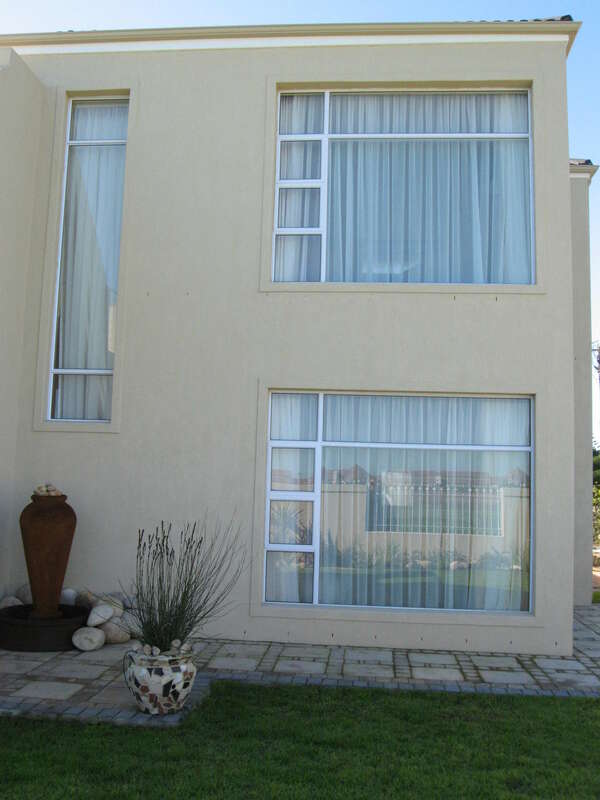 High margins are attained as the homeowner is willing to pay for upgrading and modernising his property. Non – standard items are exciting to manufacture. 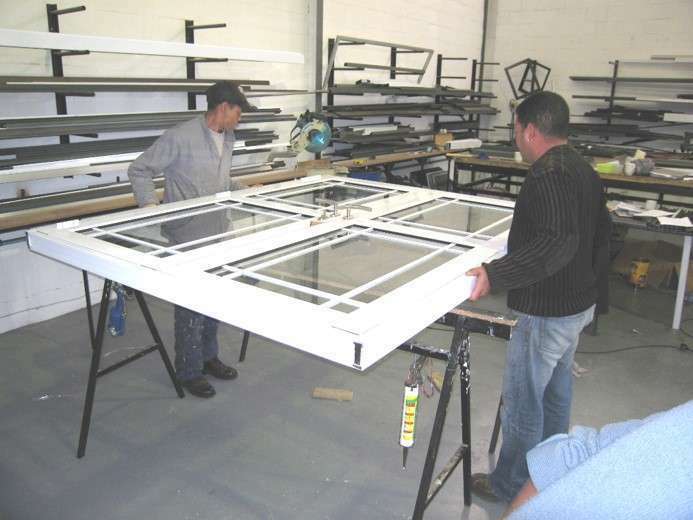 The availability of a wide variety of aluminium extrusions enables us to design and manufacture almost anything.